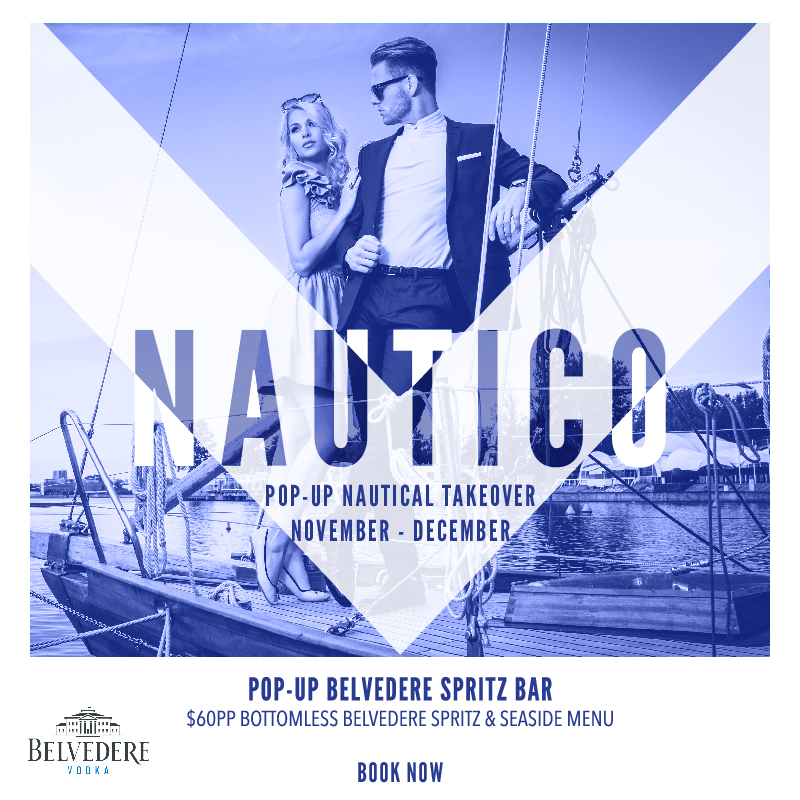 It’s going to be a very Naughty-cal summer with a nautical takeover hitting the wharf this November! Belvedere are helping us deck out our space with a summer spritz bar and boat-style lounges so that you can enjoy your refreshing Belevedere Peach spritz in style. If you’re feeling super naughty-cal go for our Bottomless Belevedere Spritz & Seaside menu package for just $60pp.